But finding the right contest can be a challenge. Some competitions are restricted to students, designers from a certain location, or only a handful of super-specific design disciplines. It can be maddening to sift through contest briefs only to find that you’re not eligible—or, even worse, that the deadline has expired. If that sounds familiar, don’t panic. We’re here to help. 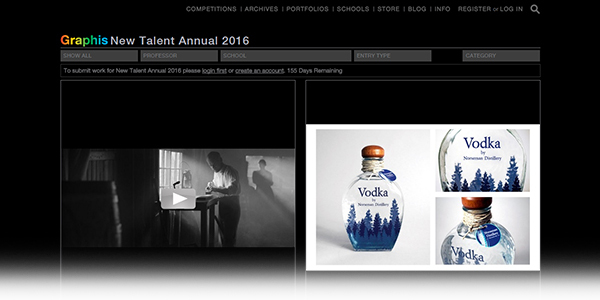 With 26 upcoming contest briefs on our list, we’re sure you’ll find one that works for you. 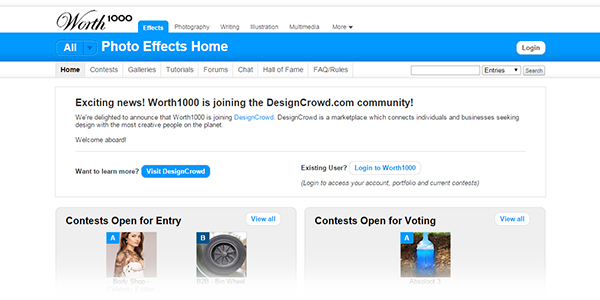 Worth1000 is a website that lets its users compete in daily Photoshop manipulation contests. 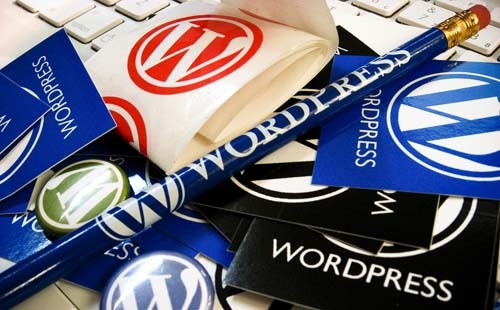 Wait for a topic that fits your interests, and then show off your design skills. 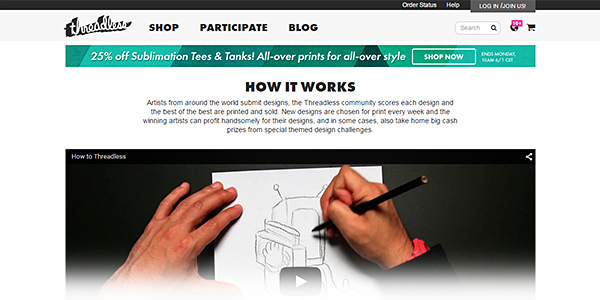 Threadless is a clothing company looking for your creative designs to put on hoodies, T-shirts, and tanks. 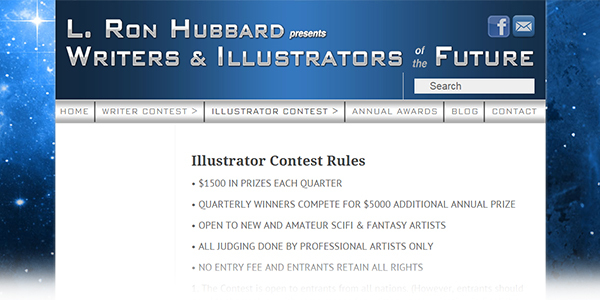 This contest is open to amateur Sci-Fi and fantasy artists who are looking to gain exposure for their illustrations. 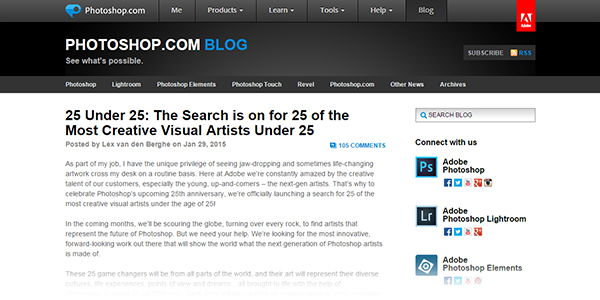 To celebrate its 25th anniversary, Adobe Photoshop is hosting the Top 25 Under 25 Contest. 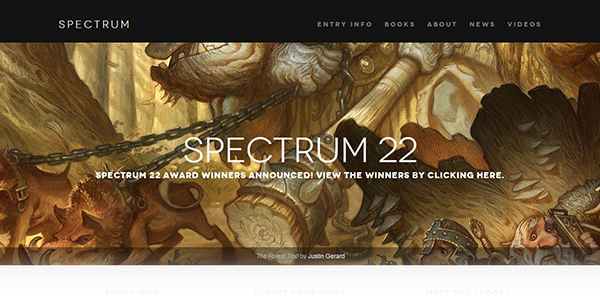 Graphic designers age 25 and under can post their work to Behance.net under the tag “Ps25Under25” to enter. Photoshop reps say the contest will be open for most of the year. 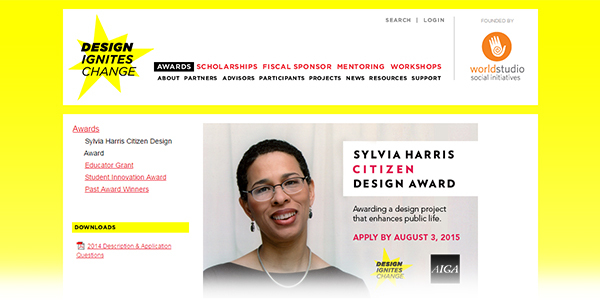 Follow designer Sylvia Harris’s legacy of social impact design by submitting a design (in any discipline) associated with measurable goals to improve your community. 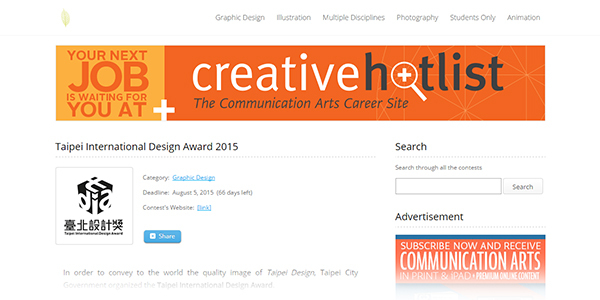 The city of Taipei is looking for designs with commercial potential to promote cultural development in the city. 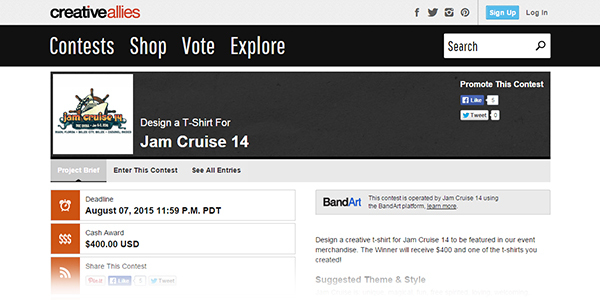 Design a T-shirt to be sold as merchandise on Jam Cruise 14, a music-themed cruise that includes stops in Florida, Belize, and Mexico. 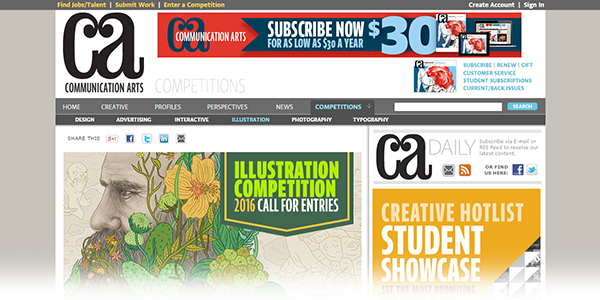 Graphic, print, and web designers from around the world can submit work in more than fifteen categories including posters, packaging, illustration, and student work. 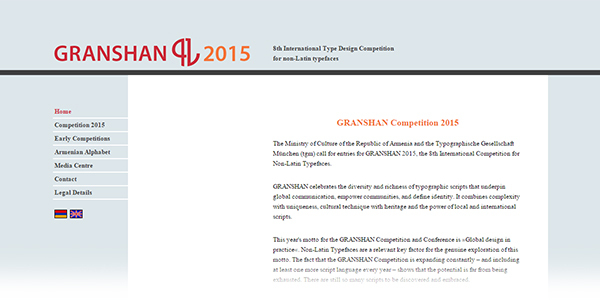 Submit a non-Latin typeface to one of the competition’s ten categories to compete for the grand prize. 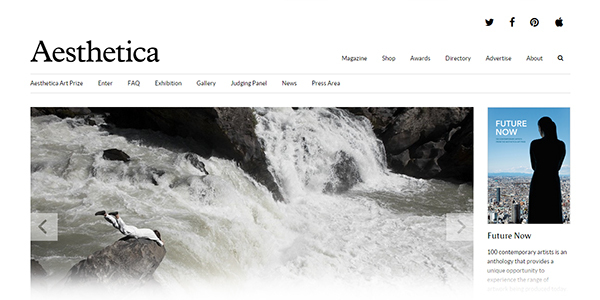 This international art competition invites designers to submit in categories that include photography, 3D art, painting and drawing, and video. 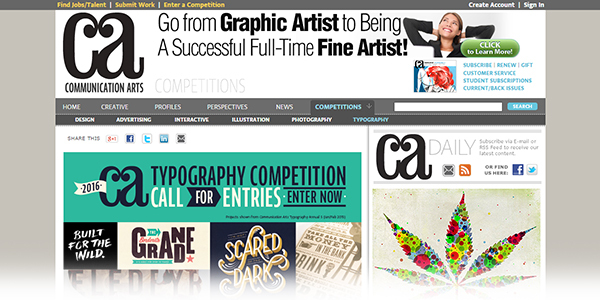 Entrants can submit typography designs ranging from calligraphy to packaging to digital media. Create a visual identity for a company in one of twenty industries. This year’s entrants will be designing posters to honor Francesco Mantecon, a former Terras Gauda artist. Submissions are divided into two categories: commercial and noncommercial. 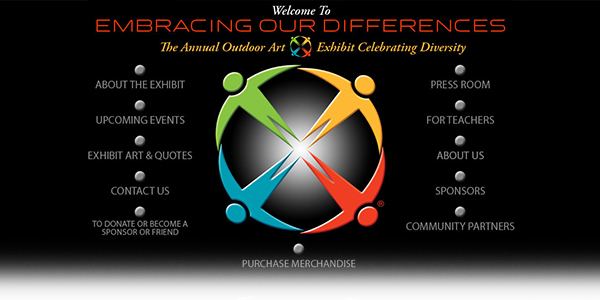 Designers may submit print or web designs. 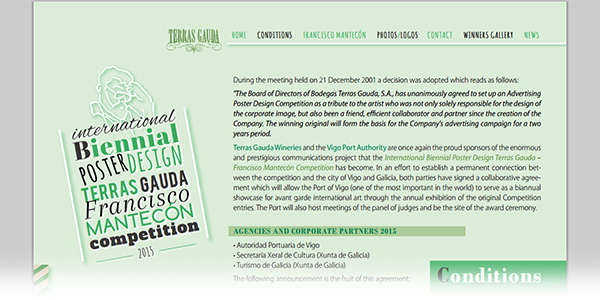 Submit a presentation folder design to the gallery for automatic entry into the contest. 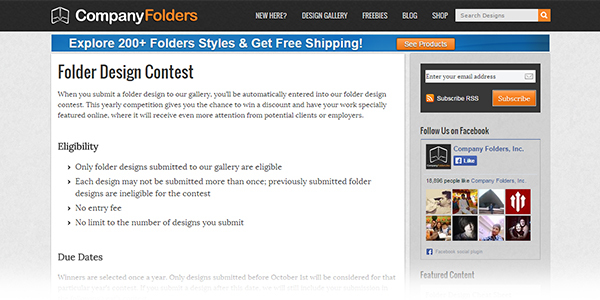 You could win a discount and have your work specially promoted on Company Folders’ site. 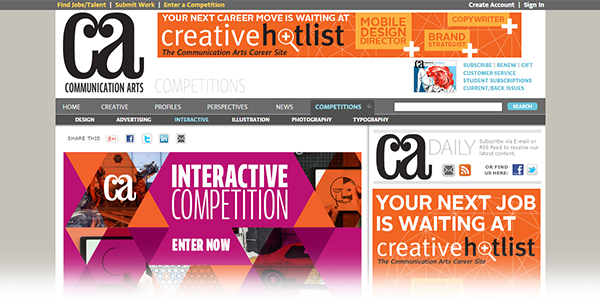 Entrants can submit any interactive online project, be it a website, mobile app, or other digital medium. Design a unique poster showcasing a movie or band, letterpress, or typography. 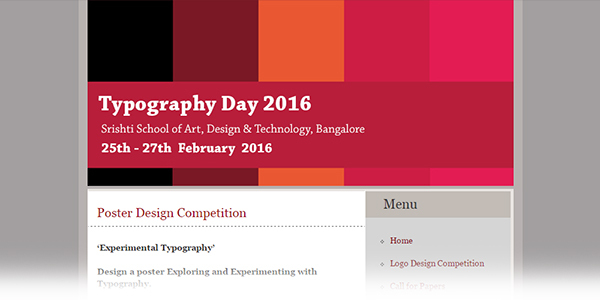 This international poster design competition of experimental typography is hosted by Srishti Institute of Art, Design and Technology in Bangalore, India. 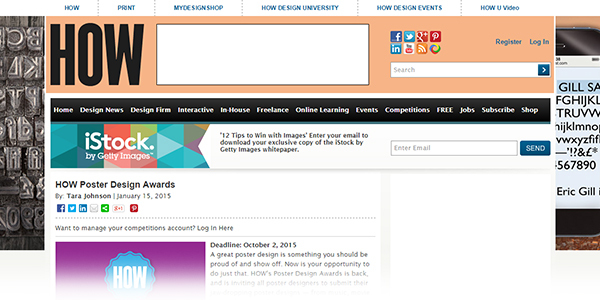 Only students are eligible for this contest aimed at helping future graphic designers get a foot in the door. You’ll need to create a Graphis account to view the requirements. 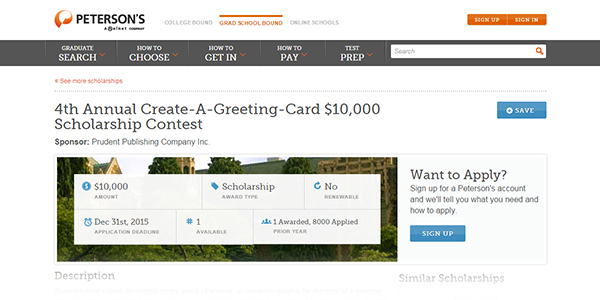 High school and college students submit greeting card designs for a chance to win $10,000 from Peterson’s, a company that helps students find information about colleges. 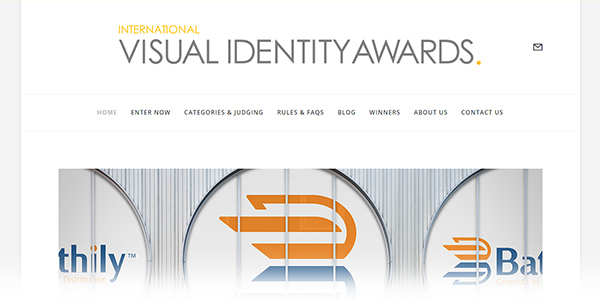 This international contest is seeking visual art submissions from around the world to celebrate diversity and individuality. 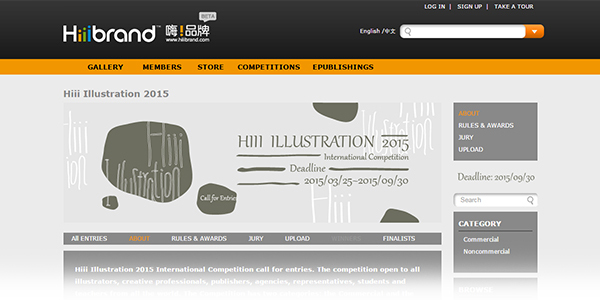 This international contest has nine categories of illustration and is calling for designs created within the past year. 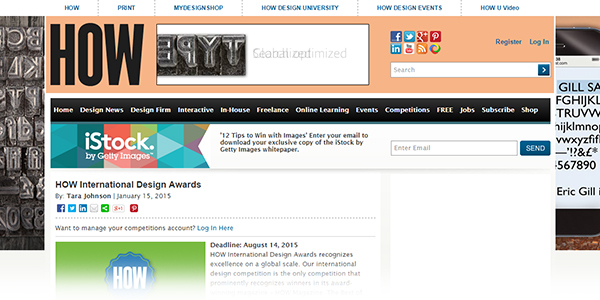 Submit designs to this international contest in categories that include book covers, advertising, editorial, and more. Silent books tell a story using only illustrationsâ€”no words allowed. 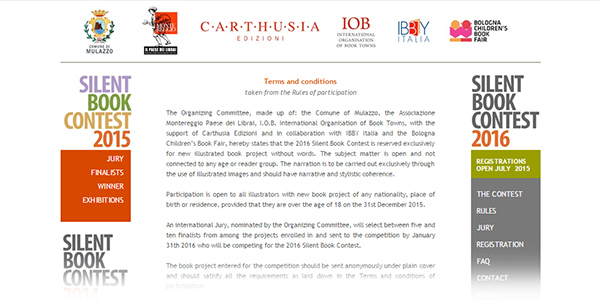 Design your own silent book and submit it to this international contest. 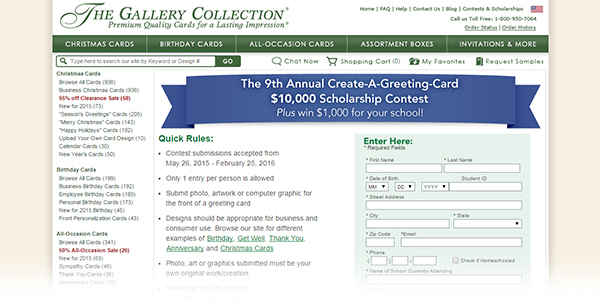 High school and college students design a greeting card for a chance to win a $10,000 scholarship. You’ve published an e-book, and now you’re designing your own book cover. That’s a lot of hard work, so don’t let it go unnoticed. 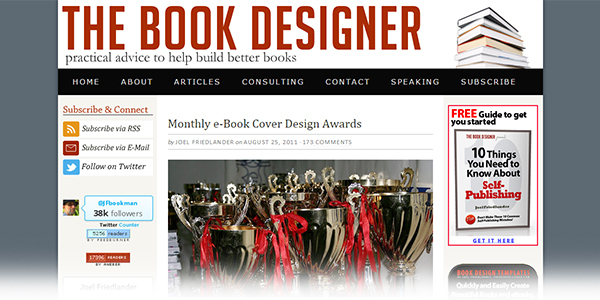 Submit your cover design to The Book Designer for a chance at a prize. Do you run a design contest? Need more entries? 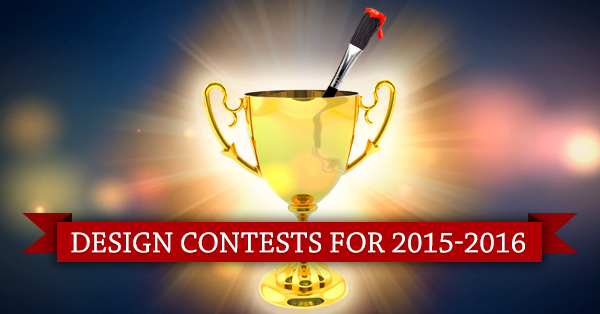 Let designers know about your upcoming competitions in the comments below!